Light portable 2 in 1 ball pens with soft rubber sensitive tip for any device that has a touch screen. These novel pens are most commonly used on smart phones and tablets with its sensitive stylus tip that gives the user smooth navigation and eliminates finger marks on the screens. Great for tapping and scrolling. Various colours available. Also see mini pens/phone charms and a “3 in 1” pen, stylus and roller banner! 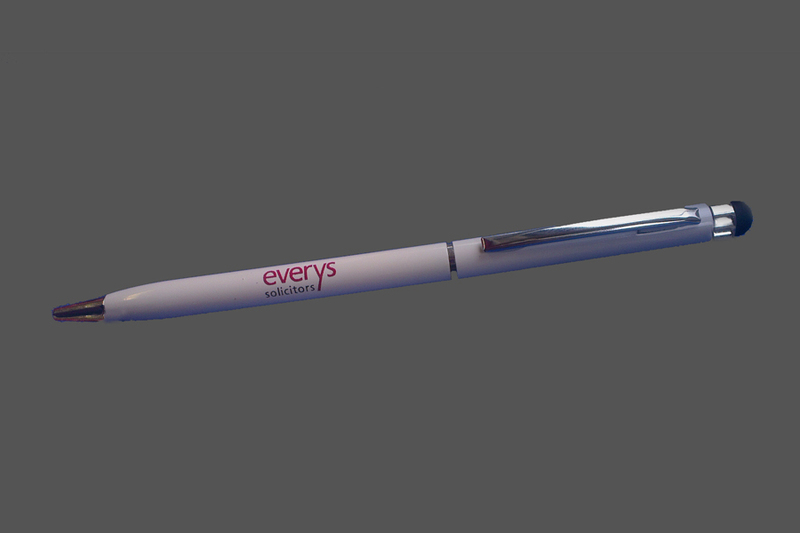 I am looking for 200 Branded Stylus pens to use on iPads. Please send me pdf sample photos, costs and lead time.